There are also four other transmissible tumours: two that affect Tasmanian devils, one in shellfish, and another in captive Syrian hamsters. Studying these unusual cancers, Murchison says, gives us clues about the biology of normal ones that don’t spread between hosts. As one might predict, responses to the report have coincided with previous ideological leanings. The report is so large and covers so much territory that it provides a Rorschach test – people see in it what they want. You will hear that “MIT researchers” have “proven” that glyphosate does X and Y and Z, and that this work is “published in peer-reviewed journals”, but nothing like that is true. The new study potentially puts more types of cancer in the running, including oesophageal, liver, and lung cancers. But as we’ll explore below, we’re not completely convinced the evidence is strong enough to add these cancers to the list just yet. Bear in mind, though, that this was an observational study, so it cannot directly prove that exercise reduces cancer risks, only that there is an association between more exercise and less disease. It also relied on participants’ memories of exercise, which can be unreliable. It’s called the proteasome, and its job is to chew up and get rid of your cells’ obsolete and broken proteins. When biochemists Craig Crews and Raymond Deshaies discussed it over brews at a conference in 1998, the proteasome had been described but not domesticated. From CTLA4 to PD1 to the next generation. LEE011, or ribociclib, belongs to the same drug class as Pfizer's Ibrance. The Novartis product now looks set to be second to market in the category, ahead of Eli Lilly's abemaciclib, according to Berenberg Bank analysts. 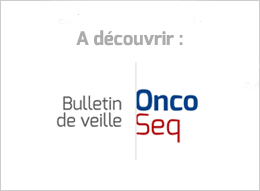 The safety and efficacy of Tecentriq were studied in a single-arm clinical trial involving 310 patients with locally advanced or metastatic urothelial carcinoma. How much of an impact immunotherapy will have on bladder cancer is a bit unclear since patients have not been followed for a long time. But the F.D.A. found Roche’s data compelling enough, and the need urgent enough, to approve Tecentriq about four months ahead of the agency’s Sept. 12 deadline. The FDA gave Tecentriq accelerated approval based on its ability to shrink tumors, a so-called "surrogate" endpoint that can reasonably be predicted to result in a clinical benefit. The company will need to conduct studies to confirm that hypothesis. Includes data evaluating radium-223 dichloride, regorafenib and sorafenib, along with pipeline research and findings from a global advanced prostate cancer survey. The first early results are now available from the pivotal Phase 2 ALTA trial of brigatinib in patients with ALK+ non-small cell lung cancer whose disease had progressed on crizotinib therapy, and show encouraging early response rates and progression-free survival. Key podium presentations will highlight the safety and validity of the Myriad myRisk® Hereditary Cancer multigene panel test in assessing hereditary cancer risk. Data Supports Comprehensive Genomic Profiling for Identifying Therapeutic Treatment Options and Determining Predictors of Therapeutic Response Across Broad Cancer Types. New efficacy, safety, and durability data for JCAR014 in ALL, NHL, and CLL - First clinical results for JCAR017 with fludarabine/cyclophosphamide pre-conditioning regimen in pediatric ALL. Final phase 2 monotherapy data on CDK 4 and 6 inhibitor abemaciclib in metastatic breast cancer to be featured in oral presentation. Broad data set for the Opdivo and Yervoy combination in several tumors, including first-line non-small cell lung cancer, recurrent glioblastoma multiforme, and MSI-high metastatic colorectal cancer, to be presented. 14 avelumab abstracts at ASCO 2016 highlight significant progress being made by the collaboration between Merck KGaA, Darmstadt, Germany, and Pfizer. More than 40 accepted abstracts highlight innovation in immuno-oncology and other novel modalities across multiple tumor types. New Analysis From Phase 3 Trial of Kyprolis® (Carfilzomib) Combination Treatment in Relapsed Multiple Myeloma Patients With Early Disease Progression. Data will demonstrate advances across several of the company's core disease areas of focus including leukemias and lung, melanoma and breast cancers. A randomized clinical trial found that introducing palliative care shortly after a cancer diagnosis results in better quality of life and fewer depression symptoms for family caregivers. According to the authors, the study is the first to show that early palliative care alone for a patient with cancer can have a strong impact on family caregivers. A meta-analysis of 346 phase I clinical trials involving more than 13,000 patients found that patients whose treatment was selected based on the molecular characteristics of their tumor had significantly better outcomes. Patients treated with a precision medicine approach also had a longer time before the disease worsened, with median progression-free survival of 5.7 months compared with 2.95 months for those who were not. Early findings from a phase III clinical trial showed that patients with multiple myeloma who received an autologous stem cell transplant (ASCT) survived longer without disease progression than those who received only chemotherapy using novel agents. This is the largest study reported to date aimed at comparing ASCT with a bortezomib-based regimen alone in patients younger than 65. Patients who received the Ibrance combination on average went 24.8 months before the disease began to worsen. That compared with 14.5 months for women who received letrozole and a placebo. The study tested the combination of utomilumab and Keytruda in a small number of patients with advanced disease, including pancreatic cancer, colorectal cancer, kidney cancer, thyroid cancer and two major forms of lung cancer. Presentations at ASCO are not vetted as thoroughly as papers published in a peer-reviewed journal, and typically much less data are available for experts to assess. Nevertheless, physicians not associated with the study said its findings seemed sound and made sense biologically. Cancer Originating on the Left Side of the Colon Is Associated With Longer Survival, Versus the Right Side. Data on more than 1,000 patients, released ahead of the world's biggest cancer conference, showed a 14-month gulf in survival rates. Doctors said location was probably a marker for a fundamentally different type of tumour. KEYTRUDA, the First Anti-PD-1 Monotherapy to Demonstrate Overall Survival Compared to Ipilimumab, Shows Continued Benefit with Longer Follow-Up. First Report of 36-month Overall Survival Data from Patients in Early-Stage Study. Dr Caroline Robert, a researcher at the Gustave Roussy Institute in France, said: "Before 2011 advanced melanoma had a median overall survival of less than one year and things have changed a lot. "What is really exciting is to see at three years the estimated survival rate is 40% and this is regardless of previous treatment." In the 61-patient study, about 30 percent of those with Merkel skin cell carcinoma treated with Merck's avelumab saw their tumors shrink or disappear. Merck & Co showed that its Keytruda drug helped many patients with advanced melanoma survive at least three years, while Bristol-Myers demonstrated that Opdivo can prolong life for a significant number of patients with advanced lung cancer by at least two years. Data show benefit with Opdivo in the overall population, with nearly double (CheckMate -057) and triple (Checkmate -017) the patients alive at two years compared to docetaxel. Since records began in 2007, over 5,500 patients in Wales have waited over two months for treatment following an urgent referral for suspected cancer. The report, based on 22 studies of the subject, found that people who were brought up in the poorest housing conditions, and those whose father had a low status job had a higher risk of developing and dying from bowel cancer. Evidence suggested that poor diet early in life may play a role. The warnings were prompted after embassy officials met with staff from the Senate Finance Committee and the US Trade Representative’s office. The Senate committee is headed by Orrin Hatch, a Republican from Utah who has close ties to the pharmaceutical industry. Each 400 milligram tablet of imatinib currently costs 129,000 Colombian pesos, around $43. The government had proposed to Novartis that the price be lowered to $18.50, but says the company did not take the offer. Imatinib is used by some 2,500 patients in Colombia.